DCS IT Solution's - Service Provider of punjabi website designing and development, search engine optimization service & website redesigning in Ludhiana, Punjab. DCS is also involve in the creation of Punjabi websites. We are the only Punjabi website designing company and Punjabi website development company in Ludhiana, Punjab (India) with a team of professional and expert Punjabi website designers and developers to create high quality static or dynamic Punjabi websites. Now you can express your IDEAS in Punjabi Language on world wide web with a Punjabi website. This is a unique opportunity for the person who loves with Punjabi Language very much. DCS is also a SEO company in Ludhiana providing SEO Services in Ludhiana, Punjab for the promotion of websites. Behind the purpose of offering this service is that with the utilization of this thing the traffic can easily be increased on your website. It is the simplest method to enlarge the reach at the customers online. In our SEO services we provide various kinds of services such as article submission, bookmarking, forum posting, link building, etc. Each of the person wants to see his business website at the top position of all major search engines and to stay the website at the top position, for this purpose he can directly contacts with the well-known internet marketing company in Ludhiana for the promotion of his website promotion. If you surely want to increase the visibility of your website then you can make a call on our phone numbers. Our company has expert SEO service providers who can easily enlarge the ranking of your website very fast and in this procedure they forever utilize the latest methods. DCS is also providing the website redesigning service in Ludhiana, Punjab. At first time, if customers are not satisfied with any other company's web designing service then we redesign the website with a different. When thinking redesigning your website it is significant that you should see the key characteristics of website redesign company that will assist you design a new website that helps you get your objectives. You should have a superior plan of the pros and cons of your obtainable website and few of the optimistic and negative feedback that clients give so that you can obtain a step in the correct way in designing an upper quality website the next time around. In Ludhiana, there are several of the website redesigning companies but DCS is the well-known website redesigning company which forever redesigns the website according to the demands of the clients. DCS provides the domain name registration service in Ludhiana to assist you convene your business aims. From our company, you can easily get any kind of domain name such aetc according to your business website requirements. We provide a full suite of domain service, comprising domain registration and domain security services. Our charges of domain name as very less as compared to other companies. If you want to take our domain registration service then anytime you can make a call on our phone or can drop a mail at our mail id. Well known websites forever have their domain names associated to the products and services they are offering. So when you select a domain name for your website, following that you have to gaze for best domain name vendors online and the prices you have to stand for that. DCS is offering web designing service in Ludhiana, Punjab with the use of latest web technologies. It is forever the initial phase of any online business website because without the use of designing process you cannot easily make any website. In these days, several web designing companies are using diverse sorts of methods to design any website but we always use the latest techniques and ways to design the website more gorgeous and attractive. When people open any website they firstly see the designing of web pages. 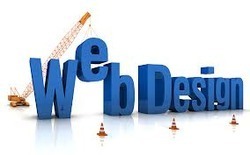 If the designing of any web page has not been done in beautiful way then at a time the visitors will close your website. For all of the web designers it has become an initial thing because without the designing of any website, there is no mean of a business website. In the present time, everyone wants to increase his reach in all over the world, so with the assist of website you can increase your access at very rapid speed. DCS is providing the web development service in Ludhiana, Punjab at reasonable charges. 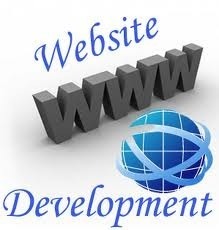 Web development is the next phase after the implementation of designing phase. Our company has expert web developers in Ludhiana who develop the website according to the needs of clients and they use latest programming languages in the development procedure of all websites. If you desire to acquire website development services in Ludhiana, it is greater that you begin with your search from today onwards. As there are numerous of web development firms are placed in Ludhiana, it is actually complicated to search out the most consistent web development company in Ludhiana. Systematic investigate and appropriate thought about web development and design services will certainly assist you out search a well-known company in Ludhiana but if you are easily finding the web development company then you can come onto DCS. The charges of our development and designing services are very less as contrasted to other companies. 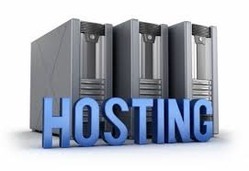 DCS is offering web hosting service in Ludhiana, Punjab. It is a service that offers web space for user's website on web server which is placed frequently on a data centre and furnishes access to the website information in the course of web connectivity. Even if, in Ludhiana, Punjab there are numerous companies which are providing web hosting services but DCS is a reputed web hosting company which forever furnishes the better Linux web hosting and Windows web hosting services in the consistent and upper superiority manner.